Looking for a drain company that can do it all? Let us know what we can do for you! Drain Problems? We'll Dash Over! Dash Drains is your source for superior plumbing and drain services throughout Massachussets and Southern New Hampshire. Whether you’re in Boston or Beverly, Waltham or Winthrop, when you call us, we’ll dash over as quick as we can! As a drainage company, we provide typical plumbing services like pipe snaking and fixing leaks, but we also provide live camera drain inspections, high-pressure water jetting, and more. 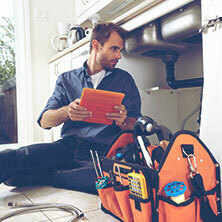 Get in touch today to schedule a service or for plumbing emergencies! Experiencing drain issues, either in your home or in a commercial property, is never fun. Thankfully, if you notice a leak, a weird smell, or even an active backup, we’ve got you covered. We proudly serve a large region of Massachusetts and Southern New Hampshire but are based out of beautiful Beverly, Massachusetts. Our highly trained team is equipped to handle everything from simple snaking to highly complicated issues. Whatever problem you’re experiencing, make sure to call Dash Drains, your drainage company in Beverly, MA. If you suddenly notice water pooling around your ankles in the shower or that your sinks just aren’t draining like they used to, give us a call. 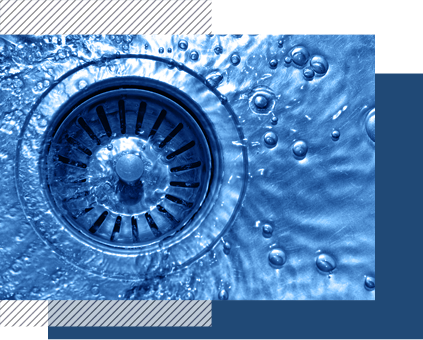 As your drain cleaners, we have a number of ways we can assess the problem and find a solution. We can use a camera to inspect the drain and if needed we can use a high-pressure water jetter to blast away stubborn sludge and blockages. 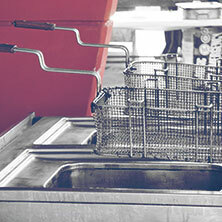 If water is pooling under your sinks due to a leaky pipe, it can be either a quick fix or a sign of a major problem. Our technicians can figure out if the solution is as simple as tightening a few washers or it could be the start of old plumbing beginning to fail. Bad odors can be caused by a number of factors. For example, bad smells coming from your kitchen sink might indicate that you have rotting food in the pipes or that your garbage disposal is not functioning properly. If you have a sewer odor coming from your drains, it could mean that sewer gas is entering your home through the pipes. There are a number of other reasons that certain odors might arrive through your drains, and our trained team (and noses!) can sniff out the problem. In general, drains should be pretty quiet. It’s not uncommon to hear a few bubbly noises as water flows down a drain, but your toilets and drains should not be constantly gurgling. Additionally, if you hear strange sounds when you turn on the faucet, this could mean you have air in the pipes. Either way, give us a call and we’ll perform an inspection. Low water pressure can happen for a number of reasons, such as a leak in the system, outdated plumbing, or a clog in the line. The best way to find the cause of the problem is to have a plumbing inspection done by the professionals at Dash Drains. Water stains on ceilings or walls can indicate there is a leak somewhere in your plumbing system. If you notice these, make sure to call us for an inspection. We can locate the root of the problem and devise a solution. If you notice any of the signs above, do not hesitate to reach out to Dash Drains. Unfortunately, drain problems don’t always happen between 9 and 5. 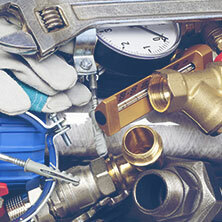 If you have an after-hours plumbing emergency, we’ll be there to help. 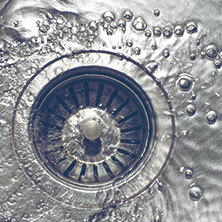 We provide 24/7/365 emergency drain service for those in our service area. Give us a call at (978) 922-3274 for any problem you’re having. When it comes to keeping your plumbing working like new, make sure you have a drainage company you can call for any problems you run into.